This is one of those great ways to get your family eating their veggies. My family is pretty good with veggies but anytime I can get more into them it’s a good thing. You can also add in chopped roasted red peppers or kalamata olives. You could also substitute lamb for beef. Combine ingredients and shape into patties. Grill over medium heat until completely cooked. Build your burger and enjoy! 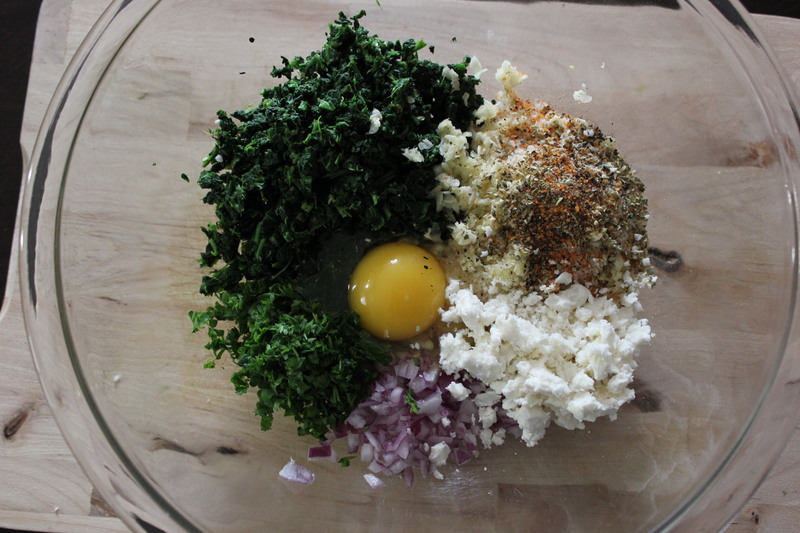 Also try the Feta Aioli – even hubs loved it. In food processor mix 1/2 cup shredded dry pack feta cheese, 1/2 cup mayonnaise, 1-2 cloves crushed garlic and 1/4 tsp ground pepper until smooth. Transfer to a bowl, cover and refrigerate until serving. 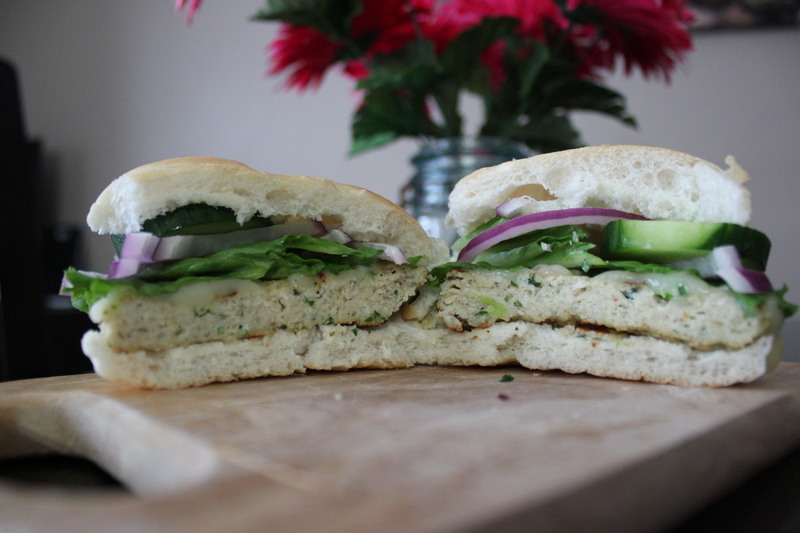 In honour of Hamburger Day…here is our favourite chicken burger recipe as first posted on January 6, 2007. This recipe has been modified since then. We’ve had fun with this one and we all enjoy it…in fact my 6yr old dips hers into additional pesto (yikes)! In non-stick skillet, heat oil over medium heat or heat BBQ grill to medium-high heat. 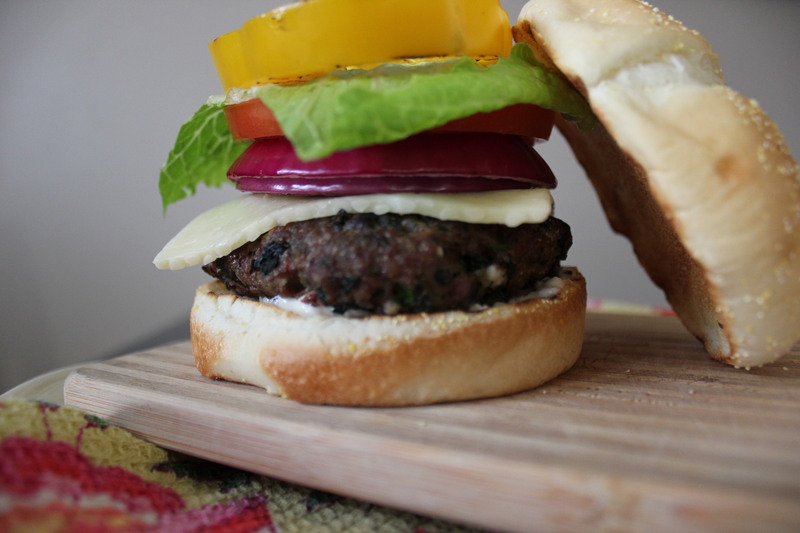 Grill your burgers for 4-5 minutes per side or until golden brown and no longer pink inside. 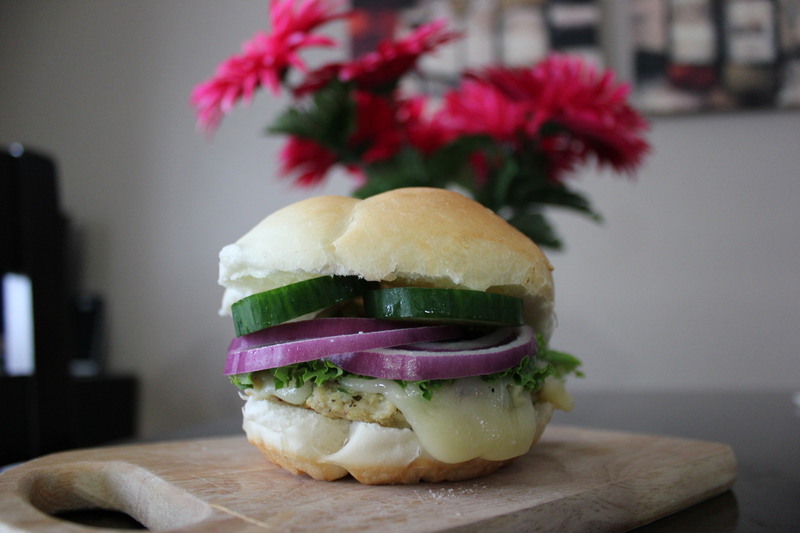 We serve these with mozzarella or gouda cheese melted on top, sautéed mushrooms and additional pesto on the bun. Add whatever additional fixins you enjoy (onions, lettuce, pickles, tomatoes, etc.). Salad, Fries or Pasta goes well with any hamburger!